From: Cluver's Introductionis in universam geographiam. 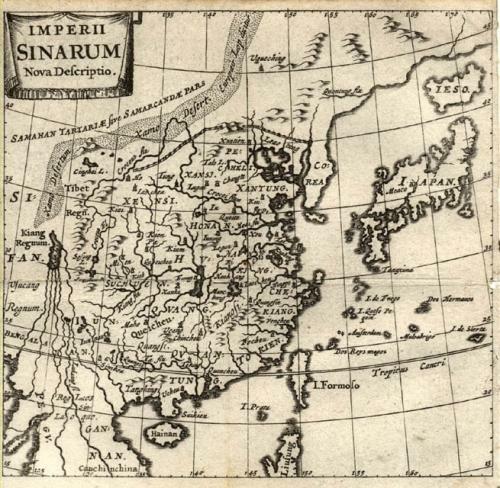 A detailed small map of China, engraved by Bertius. The map is in very good condition, with a centrefold as issued. There is a small hole in the border.